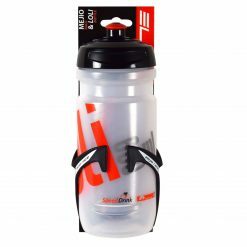 The BPA-free Elite Fly bottle with official licensed graphics from the top Pro Tour teams. 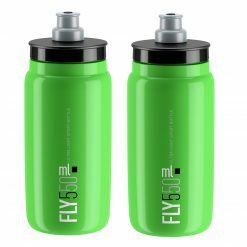 The Fly was born directly out of years of feedback from the world’s fastest riders and the desire to create the ultimate lightweight racing bidon. 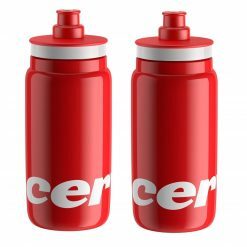 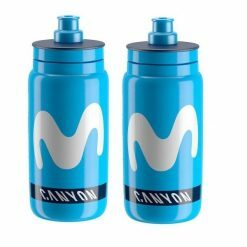 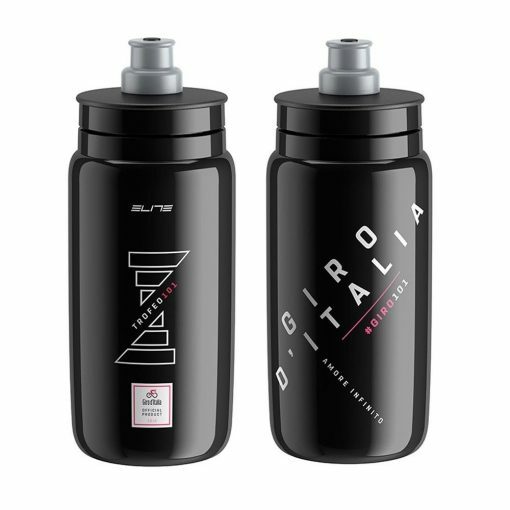 By bringing new materials to bidon construction and pushing mold technology to its very limits, Elite Fly Giro d’Italia 101 Black Water Bottles have created the lightest ever bidon, half the weight of the all conquering Corsa or SuperCorsa. 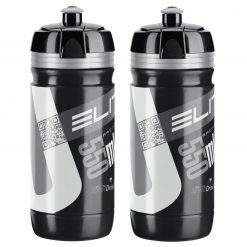 These Elite Fly Giro d’Italia 101 Black Water Bottles BPA-free plastic is handy and very easy to press. 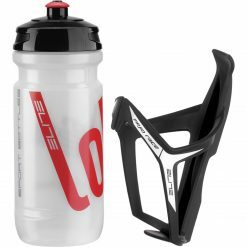 As a result, the flow rate can be easily regulated in cooperation with the push-pull valve. 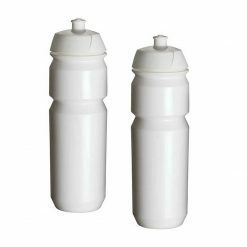 With the help of the large opening, the bottle can be easily filled and thoroughly cleaned again after use. 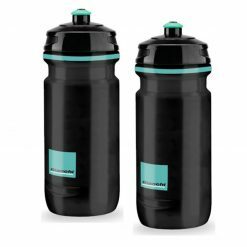 Wall thickness has been pared down to the absolute minimum whilst maintaining integrity.